The Reefs in Southampton [pictured] has announced plans to scale back operations this winter to begin renovations in some of the resort’s guest rooms. The project will begin January 2, 2012 and be completed by March 15 in time to welcome guests for the spring season. During that time, The Reefs will begin the first phase of renovations in the hotel accommodations. Plans will include the complete renovation of guest bathrooms in most of the Cliffside accommodations as well as updates to the resort kitchen that services Royston’s and Ocean Echo restaurants. The interior furnishings of the Poolside and Cliffside hotel rooms were updated in 2006, but the bathrooms of the hotel rooms were last updated in the mid 1980s. As a result of the planned renovations, the resort’s 62 guest rooms, suites and cottages will not be available to guests from January 3 through mid-March. In addition, food and beverage operations will be suspended during that period to carry out the necessary maintenance in the resort’s kitchen. The 19 two- and three-bedroom luxury Club Condos, and all of the Club amenities such as the infinity pool, fitness centre, concierge and rooftop putting green, will remain open to both owners and for guest rentals. A Club Condo room-only rate will be offered for overseas guest rentals. The concierge at The Reefs Club can provide a pre-arrival grocery shopping service to guests in the absence of the restaurants. La Serena Spa at The Reefs is open for both locals and Club Condo guests to enjoy its full-service menu of Elemis treatments. During the winter season, the spa will be open 8 a.m. to 8 p.m. Thursday through Sunday and 10 a.m. to 5 p.m. Monday through Wednesday. Reefs owner David Dodwell, who earlier this year was named Hotelier of the Year by the Caribbean Hotel & Tourism Association, took top honours for both of his resorts at last month’s star-studded Condé Nast Traveler Readers’ Choice Awards ceremony in New York City. 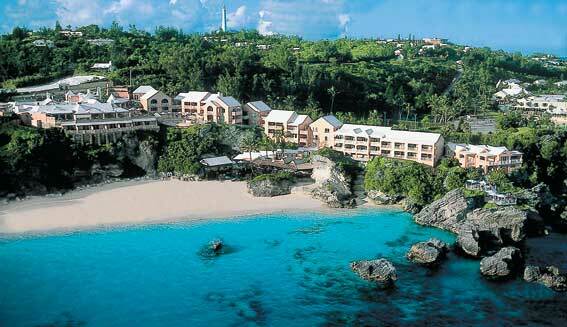 The Reefs in Bermuda was recognised as the top resort in the Atlantic for the third consecutive year. And for the first time, his Nisbet Plantation Beach Club on Nevis was named the number one resort in the Caribbean [the resort had held the number three spot for the past two years]. Here come the ‘winter’ layoffs. Can’t imagine servicing a mortgage or even paying rent knowing that the job is scaling back . I think we could be looking at another hotel casualty here.